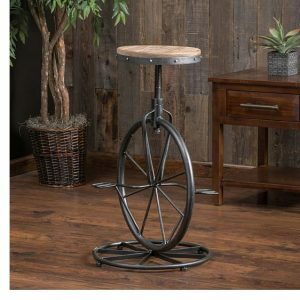 The last thing I really need is a bicycle wheel bar stool, but I find myself in love with the Charles Bicycle Wheel Adjustable Bar Stool I found from the fine folks at Dot & Bo. Find the Charles Bicycle Wheel Adjustable Bar Stool from Dot & Bo here. See all the great products for the home from Dot & Bo here.